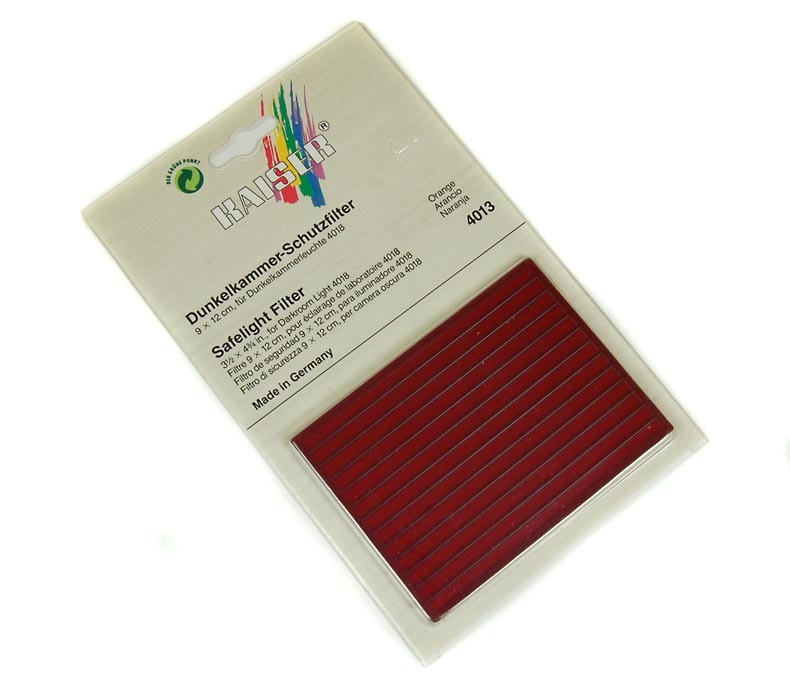 Replacement or alternative safelight filter for the Kaiser safelight, this is the Red filter sometimes considered the safest type of safelight filter, but also the dimmest. Can be used with all black & white papers and orthochromatic films. It's always good practice to conduct a safelight test first. NOTE: Photo shows Orange filter.